As prominent educational institutions in rural, southwest Wisconsin, Southwest Wisconsin Technical College is collaborating with the University of Wisconsin-Platteville to put on You First, a female empowerment conference developed from the Ladies Leadership Series. Both educational institutions see the importance of having a network of resilient women in this area of Wisconsin. 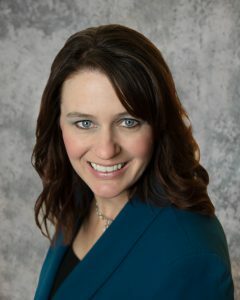 Lori Barry, Financial Advisor at Community First Bank, is one of the speakers at this year’s conference. She is passionate about helping people reach their respective financial goals, but her personal goal is getting people in the mindset of financial planning and providing tips on how to start saving and budgeting for every lifestyle. “I hope to inspire each attendee of You First to take the next step and convince them to make it a priority to sit down and set financial goals,” said Barry. As a financial advisor, Barry’s job is to look at the financial goals of her clients and then develop personalized plans for them to achieve those goals. These can range anywhere from purchasing a home, saving for retirement, purchasing life insurance, donating to desired charities or leaving a legacy. Barry also stressed the importance of being financially savvy and resilient for the sake of our physical and mental well-being. “People don’t always realize the influence money has on our health. If you are constantly worrying about your financial situation that definitely takes a toll on your body and other things going on in your life,” she said. Attendees will have the opportunity to learn from Barry, build emotional, mental and physical resilience with speakers from Southwest Health, listen to keynote speaker Sagashus Levingston’s presentation, “Infamous Mothers”, and learn from Julie Stephenson, Stacy Thousand and Dana Gevelinger of Compounding Courage. There will also be social opportunities to share refreshments and network with other women and business sponsors and a luncheon is provided. The You First Conference will be held on Thursday, March 28 at the Belmont Convention Center. For more information and to register go to: https://campus.uwplatt.edu/continuing/you-first.